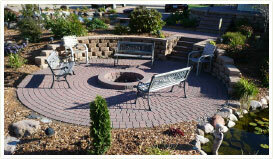 Common Grounds Lawn and Landscape invites you to contact us for information on our services. Common Grounds Lawn and Landscape has the tools, supplies, and experience to keep your lawn and landscaping looking exquisite. We are the experts that you need to call. Let us know how our team of lawn designing masters can make your home or office look as fantastic on the outside as you present on the inside.